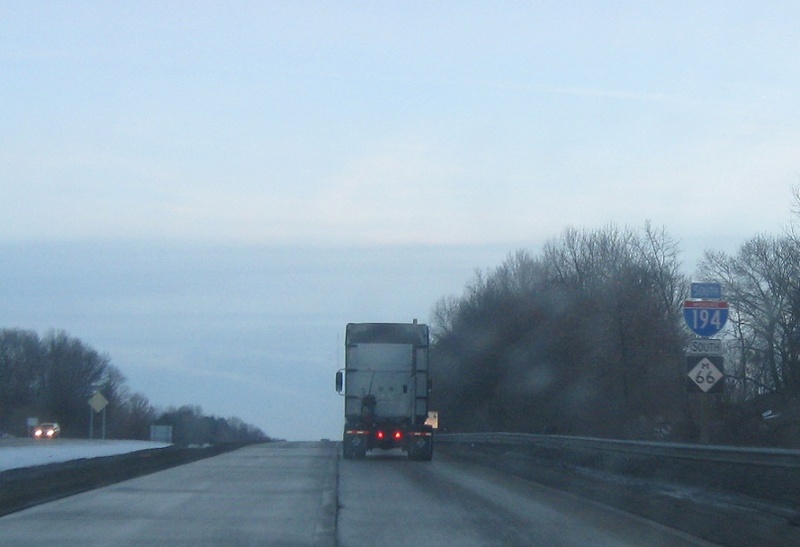 Just after M-96, we’re two miles from I-94. 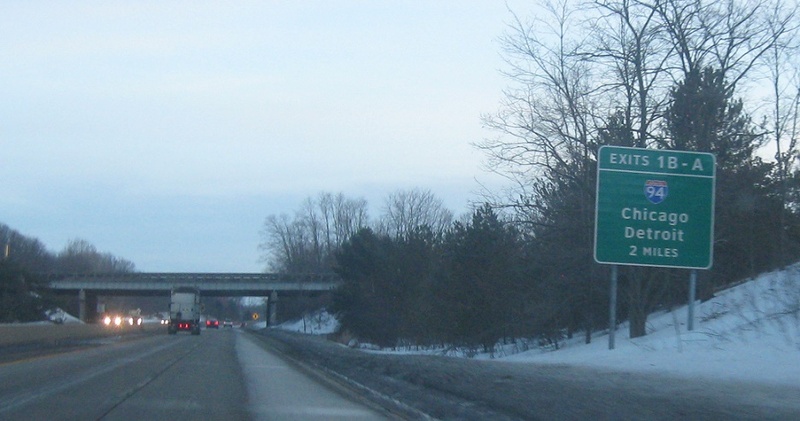 Reassurance shield after the M-96 interchange. 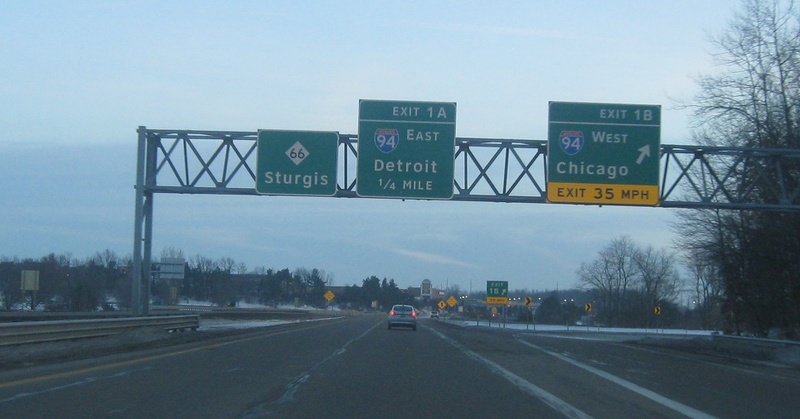 As we approach I-94, we’ll get a non-interstate-standard junction sign for the interstate. 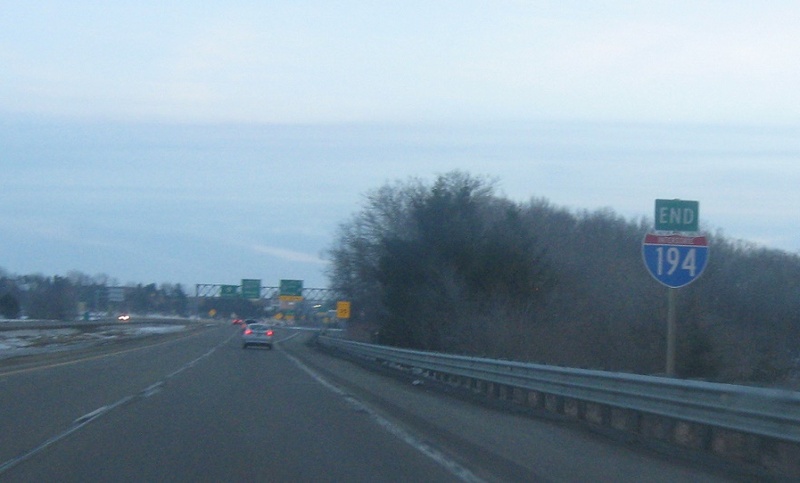 I-194 ends at the I-94 interchange. 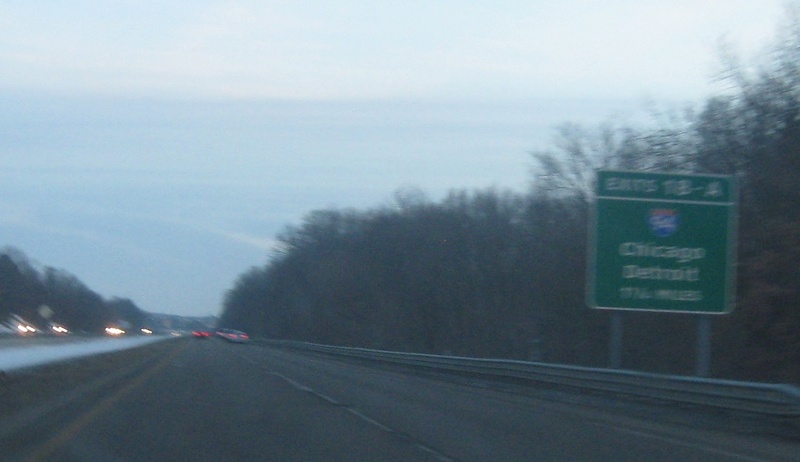 Exit for I-94 west to Chicago. 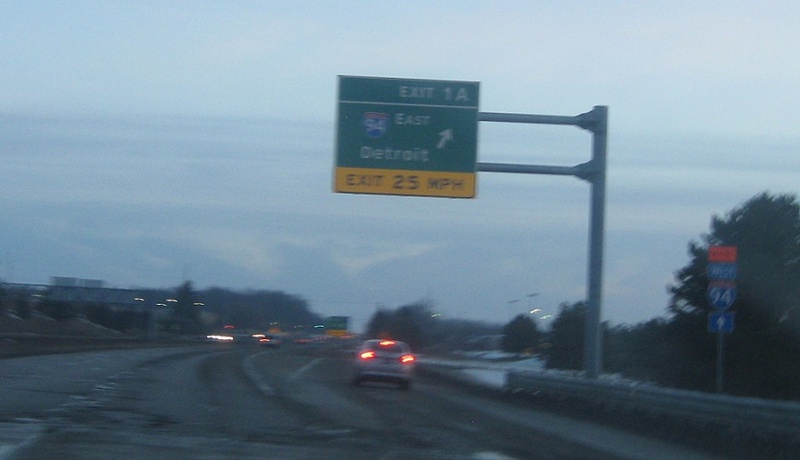 Exit for I-94 east. 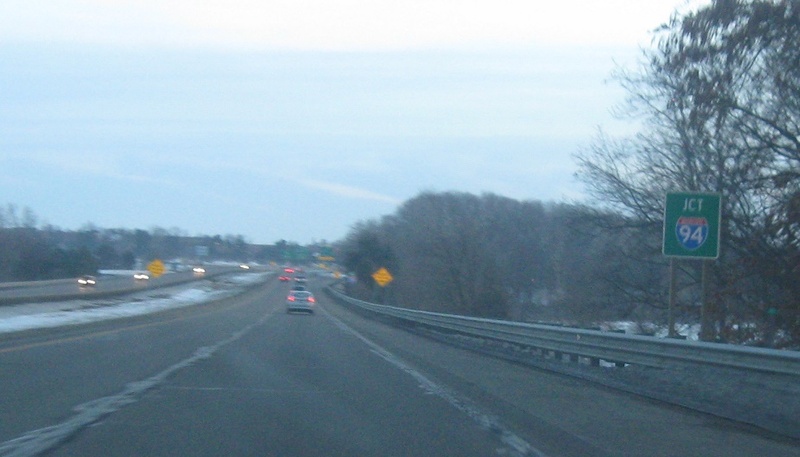 I-194 ends, and this roadway continues as M-66.